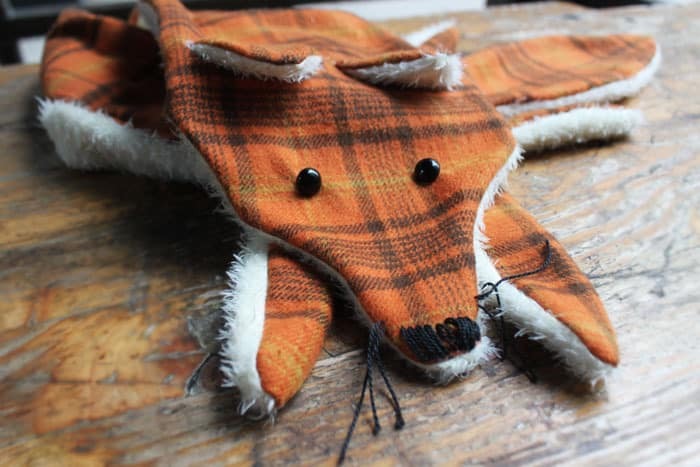 Who wouldn’t want to snuggle up with their very own homemade fox scarf? It’s like a glamorous old timey stole, but with less dead fox! 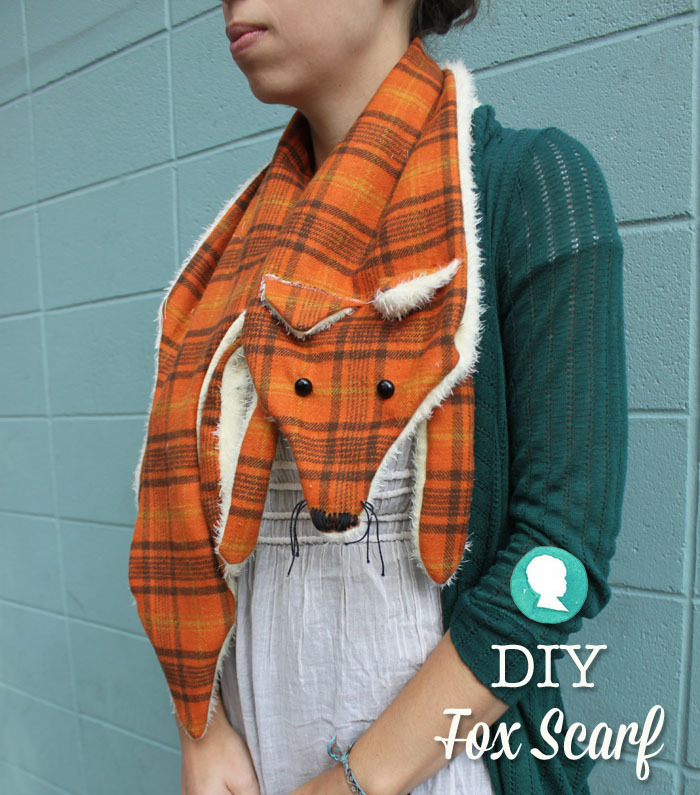 Let us show you how to make a fox scarf (and give you a free downloadable pattern too). I’d like to introduce to my little friend here, Frédéric. He took one foggy afternoon to whip up and has been lazily resting on my shoulders ever since. He is made from the finest of flannels and the coziest minky, and boy is he toasty. Want to make a Frédéric of your own? 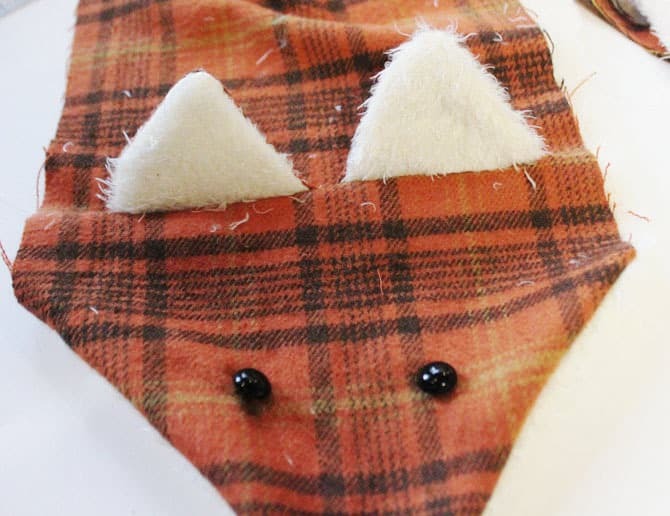 The best thing about this fox scarf pattern is that you can make a variety of different animal scarves with it: raccoon, wolf, or skunk perhaps? Round out the snout and ears to make it a bear or panda. The scarf length is also easily customizable to be longer or shorter. 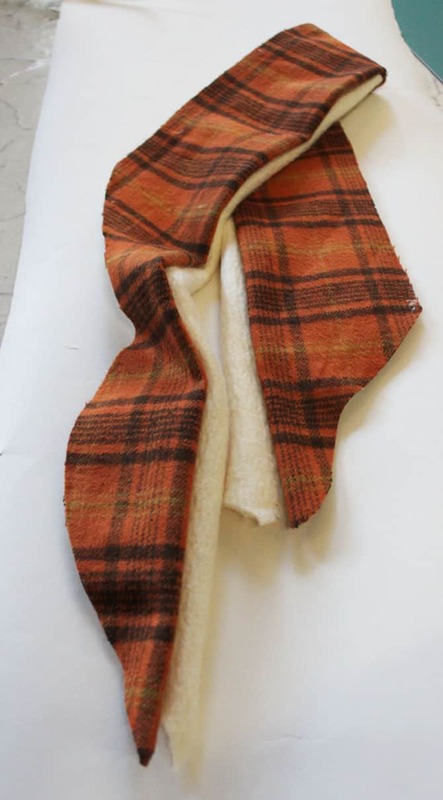 You can make the fox scarf body as long as you want, just use the pattern to shape the head and tail. Mine turned out to be 3 feet long from the tip of the nose to the tip of the tail. Cut out one body piece of the top fabric (flannel) and one body piece of the bottom fabric (minky). You can use any fabric you prefer. Sew just the face together on the inside and flip right-side out. This helps with placing the nose and eyes. Hand stitch two black buttons for the eyes. Cut out the ears, sew and turn right-side out. 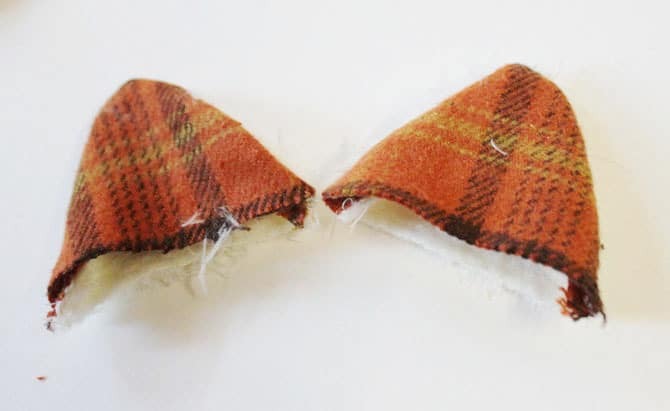 Place them where the pattern ear line is and zig-zag stitch them down to the flannel fabric only. Here they are popped up. 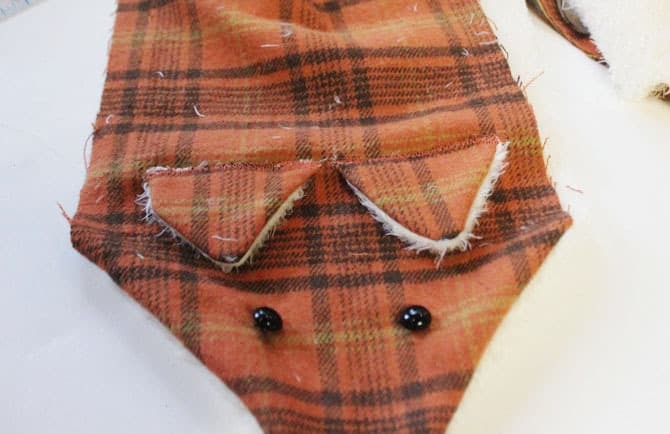 Use Black Embroidery Floss to hand stitch the nose only through the top flannel fabric. 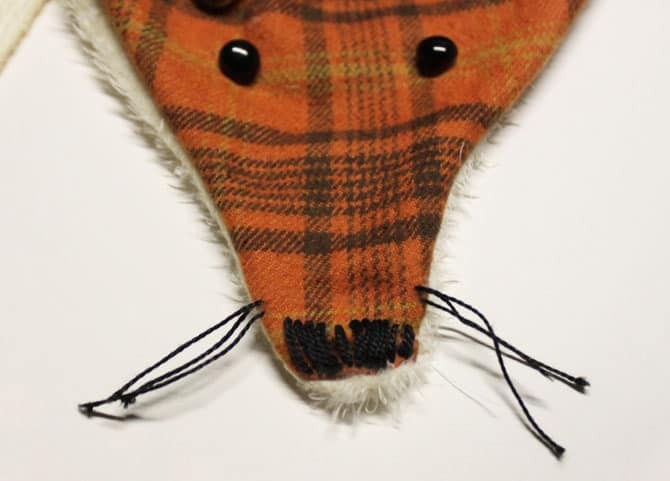 Give him little whiskers too by threading embroidery thread through and knotting the end to keep it in place. Cut out your arm and leg pattern pieces and sew them together, flip right-side-out. 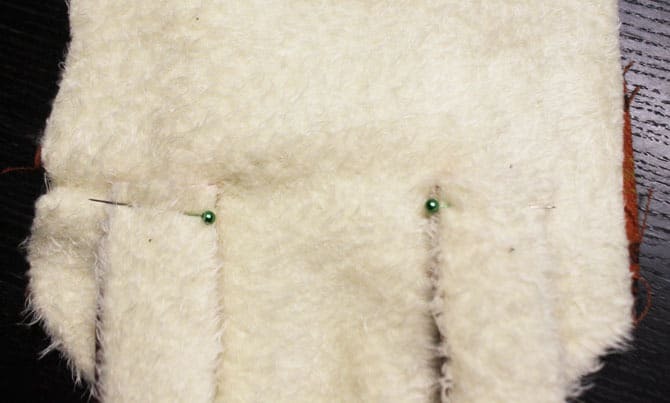 Place the arms in the same place that the ear markings are at, but on the minky fabric. Pin down. Just as you did with the ears, zig-zag stitch the arms down just to the minky. Do the same for the legs. Pin the arms and legs to each other. This is so they don’t get caught when you’re sewing the body pieces together. 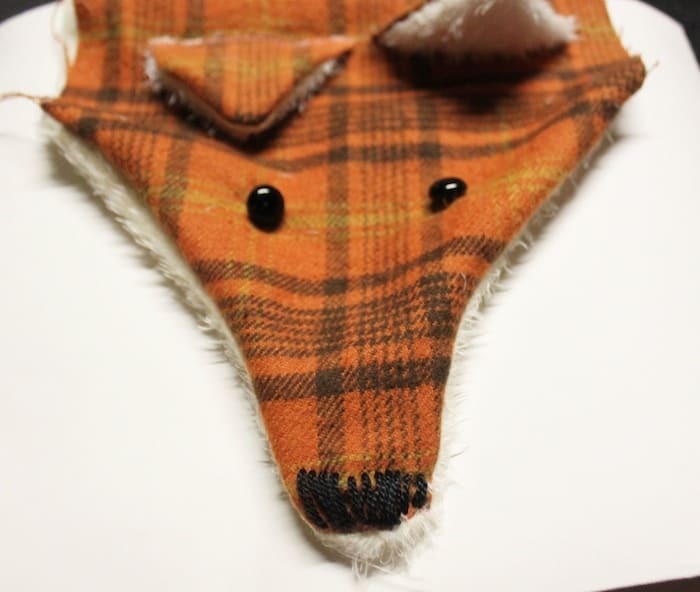 Flip the fox inside out and sew around. Leave a small gap in the middle of the scarf open so you have somewhere to flip it through. 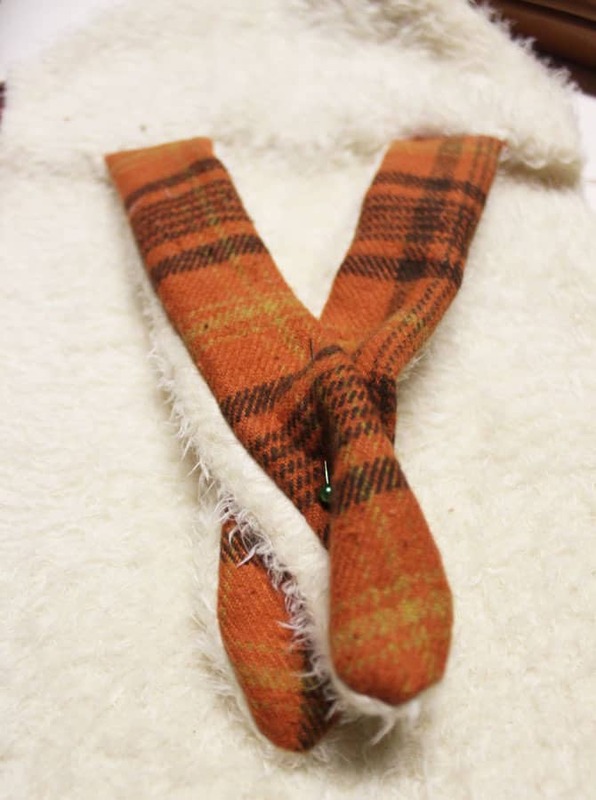 Once you’ve flipped the fox scarf right-side-out, machine stitch the gap closed. Voila! Your fox scarf is complete. I absolutely love this and will surely make it for my mother who is a fox lover, because she is one herself (that’s what her last name says!) Thank you!!! Title: “DIY Fox Scarf with Free Pattern” will not let me download the pattern. Can you help? The pattern is located right after the jump where it says “Begin by downloading the Fox Scarf Pattern” (Click “Fox Scarf Pattern). Let me know if it’s not working. do you have adobe on your computer? awesome! send us a picture! oh, I cannot even express how much I love this. ADORABLE. Great idea. Thanks for sharing!! Love this! So adorable! Thanks for sharing! Adorable!! 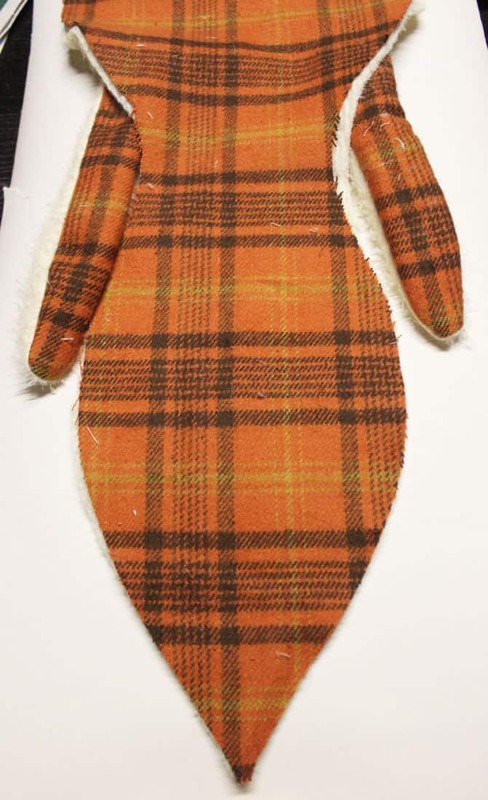 Love this little plaid foxy and seeing some pics of Prudent Colleen’s pretty face! MUAH! The pattern is completely customizable so you can make it for a kiddo no problem. So adorable! Perfect for winter!! You’ve just provided me with the perfect gift for one of my nieces. Thank you! It’s VERY foxy. Thank you– making one for my girl. Really nice! I linked the tutorial in my blog. Thanks for sharing. I LOVE this. I think I will try to make matching ones for my 2yo and myself. How fun. 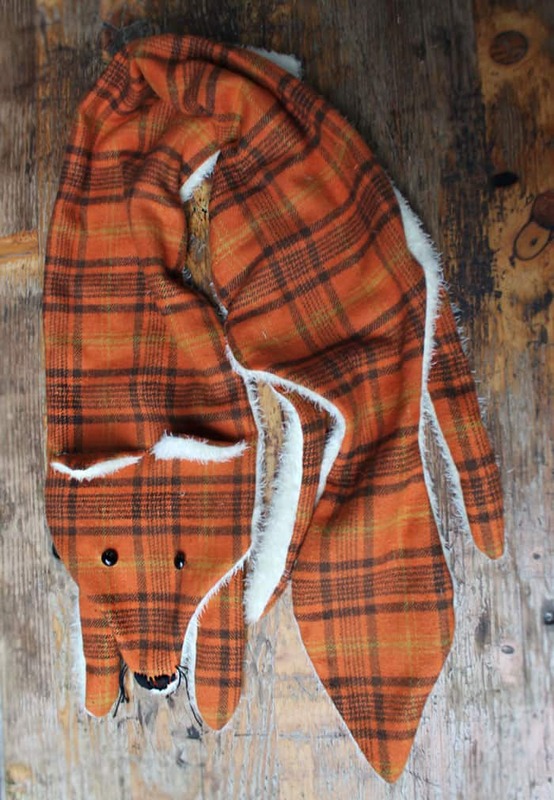 Now that is a fox scarf you could wear without any guilt about wearing fur! Thanks for the awesome pattern and tutorial! Oh how much do I love him! Thank you! PERFECT choice in fabrics on this one. I think I’ll be whipping one up for my lil’ sister for Christmas. Ssshh. Don’t tell! The only thing that would have been nice would be to have the fabric measurements easy to find at the top of the post. I knew i wanted to make this exact scarf but had to read through to find out how much fabric to buy. I made one of these today! Took about 4 hours. Next one I will use actual Minky fabric. 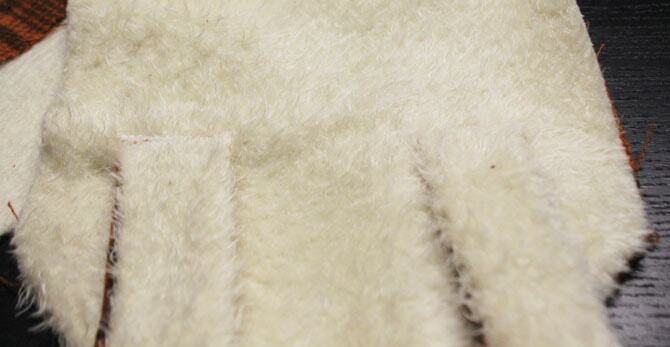 I picked a fake sheepskin that had too much body. Came out so cute, though! One question- I added a 1/2 in seam allowance. Should I have done that? Yes, adding a 1/2 inch seam allowance around is totally fine. I bought a yard of both fabrics because I wanted it to be just about one yard long. You can make it however long you’d like though. I picked up my fabric at a local fabric store, but Fabricworm always has adorable fabrics to choose from! 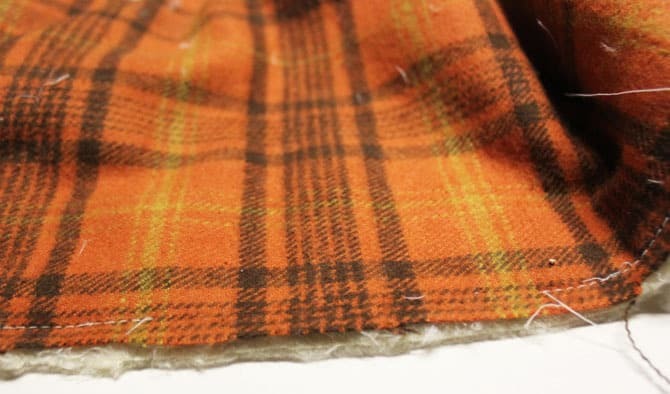 Plaid flannel is really easy to find in any fabric store and comes in so many colors. LOVE this!! I’ve been wanting one of these for ages and never thought of making one myself (even though I make clothes – duh!). Thank you so much for sharing your pattern and tutorial. I can’t wait to have my own little foxy friend draped around my neck. You have provided the perfect Christmas gift for my baby sister who is both eclectic and vegan. Thank you! I WANT THIS!!! It’s so adorable! Awesome idea, thanks for sharing!! This is so cute! I really want to make one now! 🙂 Time to go fabric shopping, I think. a girl and a glue gun did a shout out on this one! i can’t sew to save my life, but i think even if it turns out a little wonky it will still be super adoreable!! thanks for sharing it! So cute, clear instructions; have made several-some with modifications. I am having a hard time stopping. Would it be a violation to sell this online? 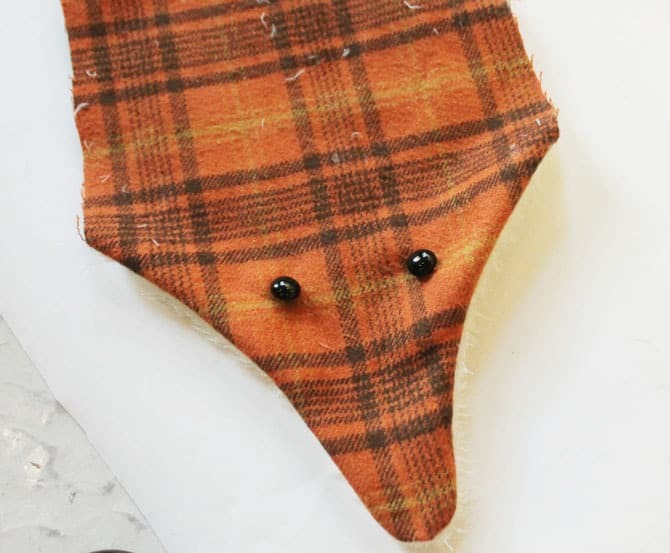 Btw I found it easier to NOT cut out the pattern pieces from the Minky, only the flannel; then stitch around the edges of the flannel to assemble and then trim the Minky. Thanks again! This is so clever! Thank you for sharing your talents. what if we filled his body up a bit with polyfil? or would that be overdoing it? lol i guess that would be more like a stuffed animal around your neck then.. I adore this! Sharing it in a 5 for Friday roundup of DIY Scarves on my blog tomorrow, including one pic and a link back to this post. Thanks for sharing!! Oh my god this is soooo adorable. my son is totally in love with foxes. I really need to try this. Thx for this cute projekt! Where did you get the fabrics? I’d love to make a fowy one but I can’t find a nice (not garishly halloweeny!) orange fabric anywhere! I’d love to just buy one of these! do you sell them?! can I buy one?! This is so sweet,I couldn’t resist and had to make one for my granddaughter. Thank you so much for sharing. Thank you for this fantastic tutorial! I made “Foxy Loxy” for a little boy whose middle name is Fox. I was very pleased with how he turned out but he is going to be hard to part with! My little girl has put in an order for a fox and Raccoon!!! esta preciosa voy hacerla para mi nietita .gracias por los moldes un cariñoso saludo. Merci !! Merci !! c’est génial ! YAPLUKA !! Where did you get the orange tartan? I love orange but can’t find anything similar. Is it called something specific? Any info would be great, otherwise mine will be an arctic fox. Arctic fox sounds awesome. we found it at a local fabric shop. Je vais aller voir de plus près ton joli blog, bonne journée ! Loved this pattern the minute I first saw it. I made 16 scarves. One for each of my sisters and nieces and a few extras for Christmas presents. Didn’t think that the guys would want one but was wrong, now I have to make more. Everyone loved, loved them! you made SIXTEEN of them?? i would love to see pictures! Hello, many thanks, http://amielie.over-blog.com/article-un-petit-renard-121786038.html, votre renard est magnifique porté par ma fille. So i sew this fox a few times as gift for friends. yesterday they asked me about, if i would do sewing commissions on deviantart. Am i allowed to do it with this patern or not? Sure, please just give us credit for the pattern. So cool, thanks a lot! This scarf is the cutest scarf ever! I made one and wrote up a blog post about it. Can’t wait to make more as gifts. Thanks for sharing. Super creative. My kids will love it! this would really be awesome!! She was devastated that he could be facing several felonies. Cute scarf, but it will not download… do you e-mail the pattern? 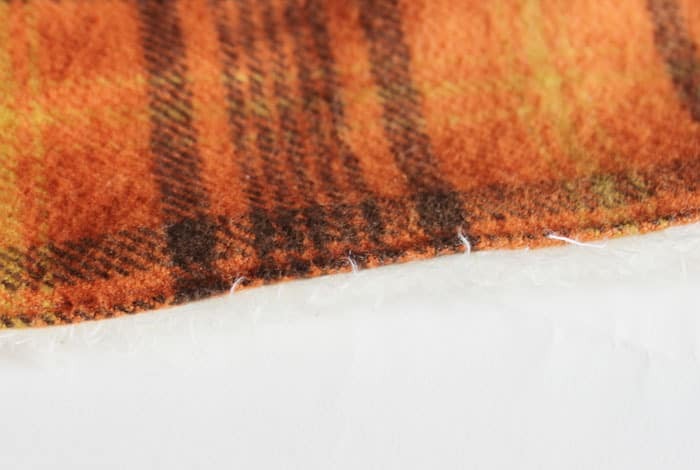 What is the seam allowance you use for this pattern? I added a 1/2 like a person did above but I haven’t sewn my fox yet. I was curious if you added one on top of the pattern or it was included, if included what was it? Thanks! I can’t wait to see how these turn out, thanks for sharing your pattern. The pattern includes a 1/2 inch seam allowance, but it’s also not a problem if you have already added a 1/2 inch to the pattern. This pattern is pretty customizable and will still turn out adorable! Don’t forget to send us a photo. Thank you so much for sharing this great pattern. I was stumped for an idea for Christmas gifts for the grandchildren and now I am making fox scarves for them all. Thank you so much. Made one of these recently — he’s so cute! He’s starting to get a little bit grubby and I was wondering, what’s the best way to WASH something like this? 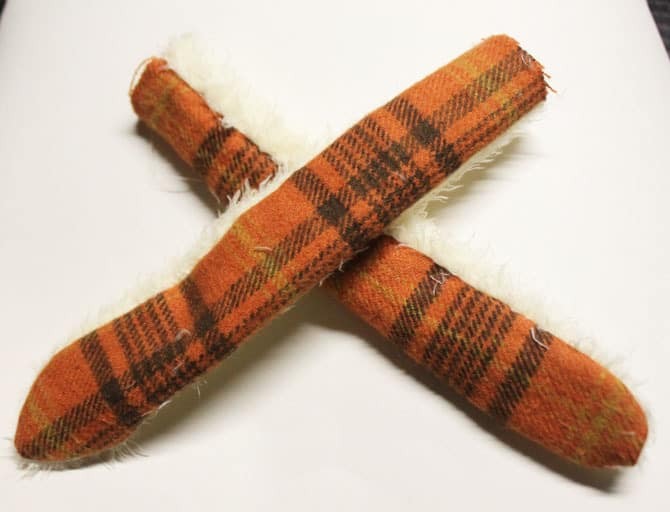 I know the minky and flannel will wash, but I’m worried about losing the buttons, whiskers, or it losing its shape since the two pieces are only sewn together on the outside edge. Thanks! Machine wash gentle cycle (cold water if you did not prewash fabrics), toss in dryer on low for a few minutes to dewrinkle, shape & lay flat to finish drying; lightly press flannel side only if needed. Buttons & whiskers should survive but if not you can easily & quickly redo. When I sew this I will top stitch the perimeter to keep the shape. Hope this helps! It is lovely, I asked myself what could be a like for my son again! Thank you for the wonderful ideas you! Dound it at the quilted crow! by Marcus Fabrics. This flannel is like a yarn-dye woven, so it is reversible! Thanks for a GREAT pattern! Making one for my mother-in-law (the original Mrs. Fox). Only difference is to make it more dressy, I’m using a paisley wool challis. Also adding a “collar” of faux pearls. I can only hope I my construction skills are up for it. I love this and just finished 2 for Christmas presents. Thanks so much for a great simple pattern that looks so amazingly adorable. I bought 1 yard of each fabric ($14 total!) and was able to make 2 foxes and have fabric left over. They look like I bought them in some super trendy store for $50 or more. Do you by any chance remember what type of flannel did you use? Cotton, wool.. etc… ? I don’t see where to print the pattern. How can I print it? good question! Was the pattern removed from this post? I don’t see anywhere it can be downloaded… It’s really cute, and I’d like to make one. Go back to top of post; under 2nd picture; 4th line; Begin by downloading “Fox Scarf Pattern”. Simply click on the link “Fox Scarf Pattern”. It’s a different color text but very subtle. Hope this helps! Still don’t see the link. Thanks for trying. The pictures and instructions are great but there is no pattern. Please repost how to get to the pattern. I’ve clicked on every word under every picture and nothing takes you to the pattern. Please HELP! THANK YOU JAIME. I have been waiting for someone to post the pattern…..I am so excited. Thank you so much for sharing this great pattern ! but where is the pattern of this fox scarf ? I always wanted a silver fox collar; economics and anti-real fur feelings have prevented it: I;m gonna look for some silver/gray materials and if anyone asks, I’ll tell ’em it’s my silver fox! Great idea! Are there sewing directions other than what is under each picture??? Thank you for the adorable pattern.